A vast majority of the population contributes to new market models in the area of energy transition. 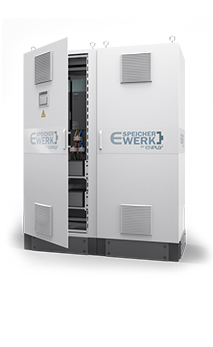 The use of an E-SpeicherWerk energystorage systemat proper distribution points in the network offers new possibilities. The generation of electricity with renewable energies is linked to fluctuating feed-ins. This is set off by different consumer behavior in the use of electricity. Through an energy storage system can supply and demand be balanced. An increasing number of energy cooperativesin conjunction with the regional utilities yield new ways of integrating and marketing green electricity in the local access network. 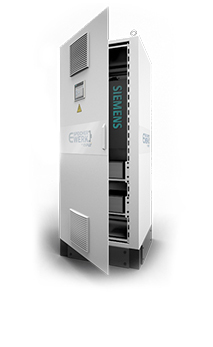 Already today the E-SpeicherWerk power storage system conformsto the requirements of new electricity pricing models and the integration in control stations and smart grid solutions. 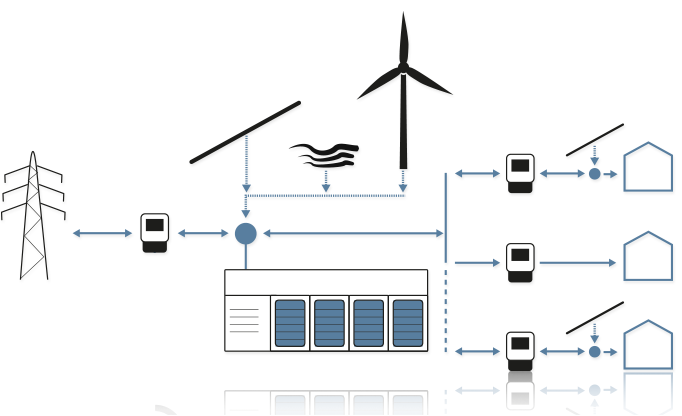 In conjunction with a virtual power plant control software such as Ampard emerge additional possibilities for economic secondary storage use in control energy.